A bit more playing now to fix ends and copper pleats. 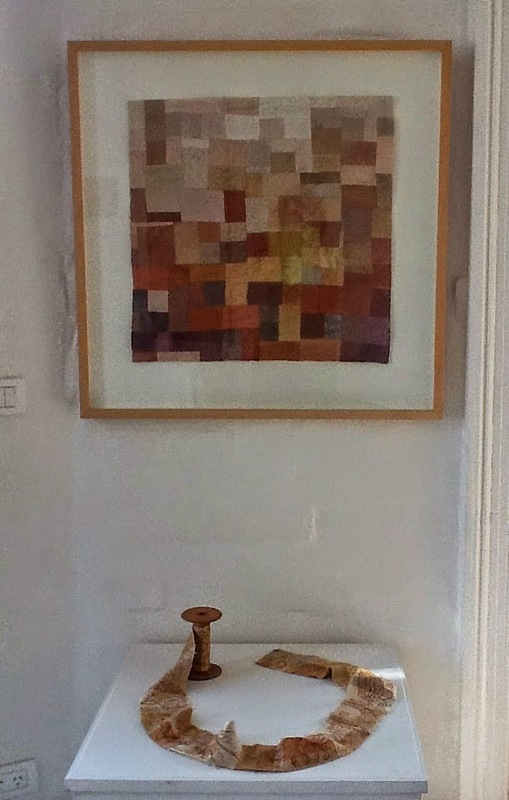 Natural Wonders, natural dyes on paper and textiles by Julie Ryder. 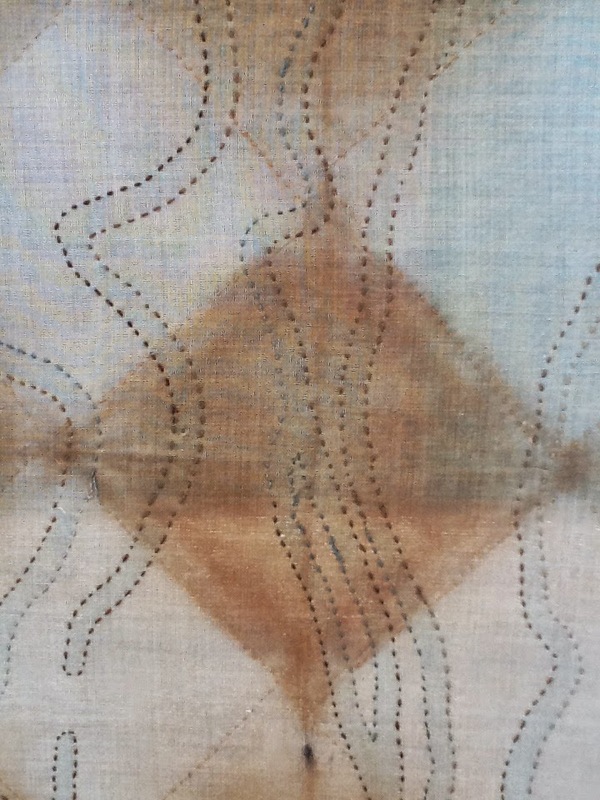 Natural Wonders is a mixed media exhibition consisting of works on paper and naturally dyed and stitched textiles derived and inspired by organic materials drawn and collected from sites that hold personal significance for the artist. Her daily journey from home to studio, and the many bush and urban walks she takes have inspired her to look at the native and introduced flora of Canberra, delving into its history to determine the impact that white settlement and the urbanisation of this designed city had on the traditional lands of the Ngunnawal. Textiles have been dyed with plants from specific sites, during specific seasons of the year to build up a colour profile of the territory, and showcase the beauty to be found within. Opening Night: Thursday 23rd October, 6pm. Although this is not the piece used for APM exhibition I am still playing with it. 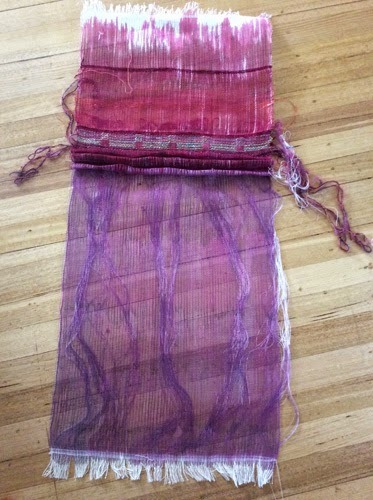 Painted warp is woven with copper weft in pleats and a selection of different threads in the "squares"
I also participated in CraftLab at ANU a few weeks ago and have started a stitched piece to follow up from that experience. Creating a ground (base) to work on. I was trying to get the last of the warp woven with colour samples. There were to many threads going aery so I stop weaving. This is the very end colour sample with lime green silk and gold metallic thread on an Ikat warp.